$35,000 will now get you into a world renowned Tesla. Finally, an option for the every-man! Although said $35,000 will get you the very base options for the model 3, still at least you’ll have the Tesla badge on your ride. The Model 3 could very well be the most important vehicle in the electric carmaker’s lineup, mainly due to the fact the average person can afford it. With options available to take it past the $60,000 mark, it should appeal to a very wide range of people with varying budgets. Let’s talk about those options for a minute. The first thing you will have to choose is either a Sedan or Cross-over. Once you confirm that bit, you’ll get to choose the range in which your vehicle can travel. 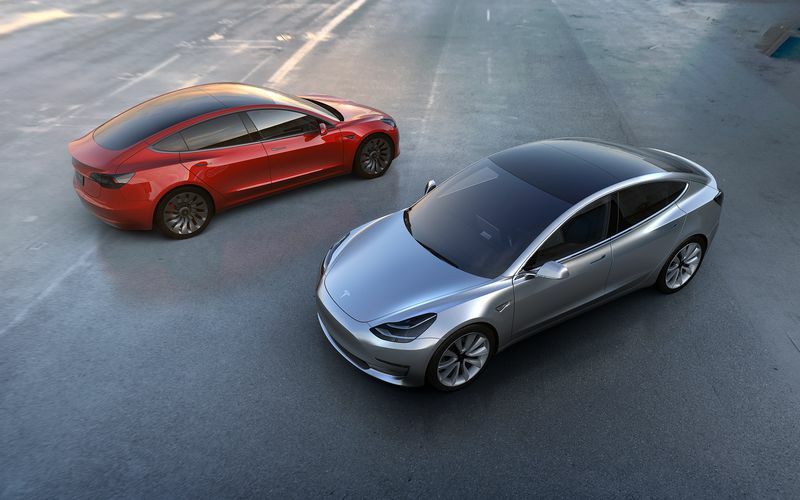 At a minimum the Model 3 will have a 200-mile range. Or you can opt for the 80-kWh battery option, which will push range past 300 miles. The longest a Tesla vehicle has gone is 288 EPA certified with its Model S 90D on a single charge. To beat that will be quite an impressive feat. On top of the battery option, All-Wheel-Drive with 6 second 0-60 time will be available. 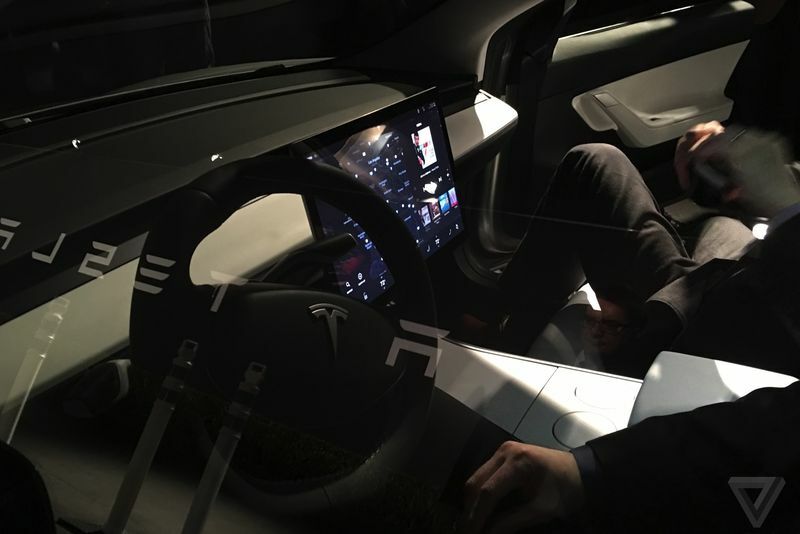 The base model will be auto-pilot ready. The program pre-downloaded, however this is only the safety features of the auto-pilot. Features such as auto-stop using ultra sonic sensors, whenever an object gets too close to the car. Convenience features will cost extra on top of the base price. These would be things like ‘summon’. Which addresses parking in tight quarters. For a cool $1,000 deposit, you can reserve a Model 3, which won’t be hitting the streets until late 2017. 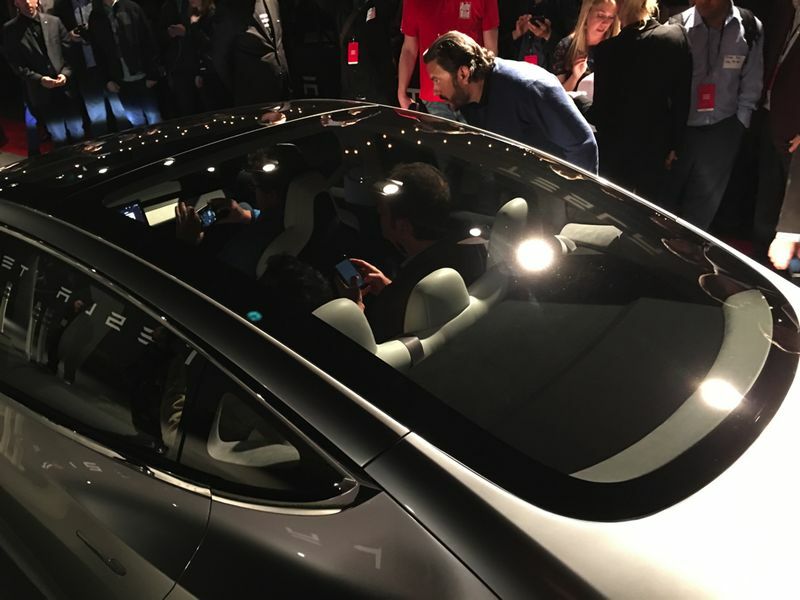 Just like Ferrari, Tesla is giving its current customers the first opportunity to buy. With the prestige of the Company, it does make sense. 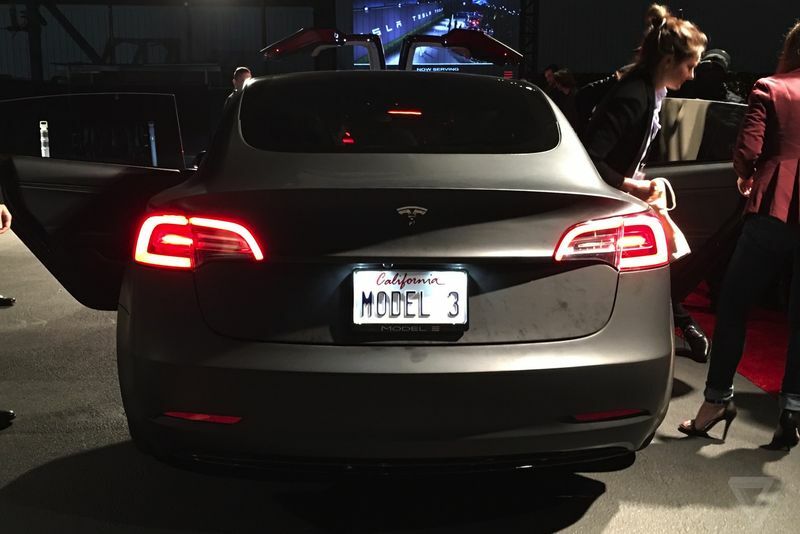 The name Model 3 wasn’t the original plan for the name of the car. Elon Musk wanted it to be the Model E, however Ford currently owns the rights to that name, and refused to give it up. So when you see the number 3, just view it as a backwards ‘E’. It was named so as a sort of joke. 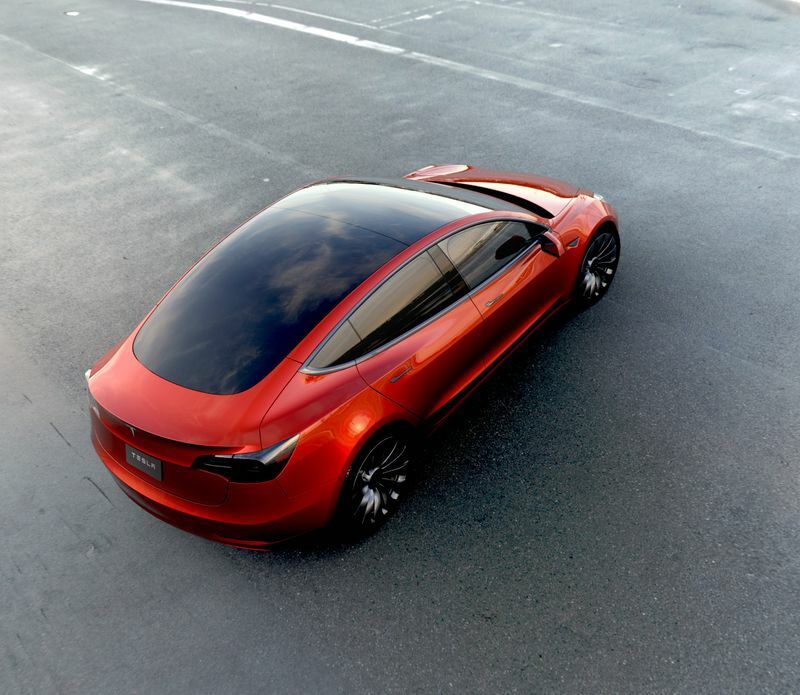 Tesla has the Model S, the Model 3 (E), and of course he Model X. A bit of Musk humor for you. 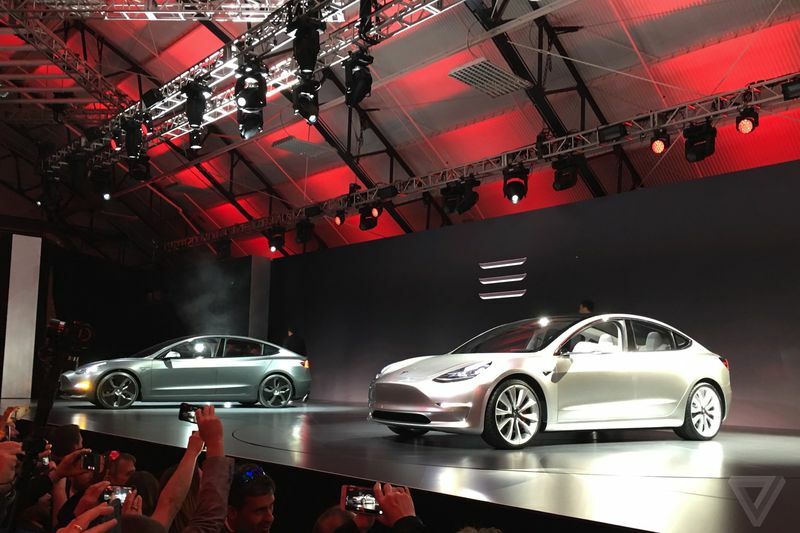 All said and done, the Model 3 seems like the perfect new vehicle for Tesla’s lineup. They really outdid themselves with this one, I personally can’t wait to see what other options or versions of this Model will be released, if any. Fingers crossed for ‘Ludicrous mode’!